Physical and mental wellness plays a critical role in the success of students. The College of Saint Rose recognizes the importance of providing support, when needed, through our Counseling Services and Health Center. Medical providers are available in the Health Service Monday – Friday as posted at the beginning of the semester. The phone number for the Health Service is (518) 454-5244. If medical attention is required when the Health Service is closed, students should contact their Resident Assistant or Security at (518) 454-5187. Personal counselors are available in the Counseling Center between the hours of 8:30 and 5:00 (Monday through Friday), with some limited evening hours for groups and individual counseling. The phone number for the Counseling Center is (518) 454-5200. In the event of a psychiatric crisis requiring immediate attention during non-business hours, Counseling Center Staff can be contacted via Residence Life staff or Campus Security at (518) 454-5187.
for free, 24/7 crisis support in the U.S. 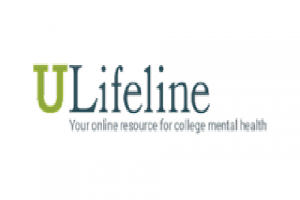 The ULifeline Self-Evaluator screens for thirteen of the most common mental health conditions that college students face. This screening does not provide a diagnosis, but identifies problems that could be impacting thoughts, feelings and behaviors. The process also provides information on these conditions and how to reach out for help.